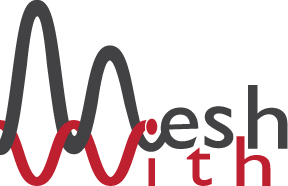 meshwith is a social networking, introduction and even dating service. Specifically, meshwith is a system for predicting who you can trust. Gamers – Who will be a challenging competitor? Venture capital – Which startup CEO’s will be fiscally responsible? HR Departments – Who is the best person to work with this precise team? Consumers – Who do I trust with a particular skill? Students – Which professor will care about my future career? Women – Will I face sexism and harassment from coworkers? Employers – Who can I trust to handle sensitive information? We currently license our technology for specific applications. To purchase access to meshwith, briefly describing your intended application, so we can provide pricing on your customized application. To purchase meshwith for your organization, complete your contact details below.